Fikile Mbalula, South African sports and recreation minister started an offensive Twitter war with Kenya following provocative remarks he made about the country on Tuesday. At a media conference in Johannesburg, the minister was initially speaking of quotas for black players in South African sports teams, when he deviated off the topic by throwing slurs at Kenyan athletes. Mbalula said “you can’t transform sports without targets”, with reference to imposing quota demands on sports such as cricket and rugby, reports Mail & Guardian, a South African newspaper, he then went on to say that South Africa like Kenya send athletes to the Olympics to “drown in the pool”. The South African minister has a history of making ‘hot-headed’ comments, as he previously called South African football team, Bafana Bafana, “a bunch of losers” after they lost against the Nigerian squad in the African Nations Championship. 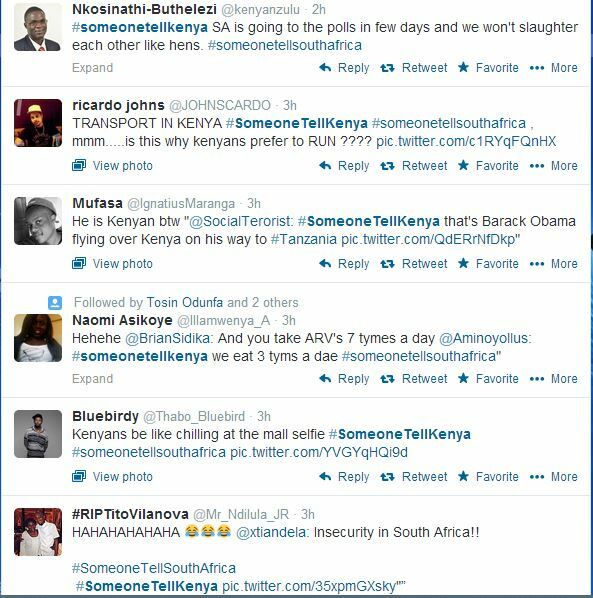 Since the comments, the hashtag ‘#someonetellsouthafrica’ has become the top trending topic on Twitter in Kenya and South Africa on yesterday and today. 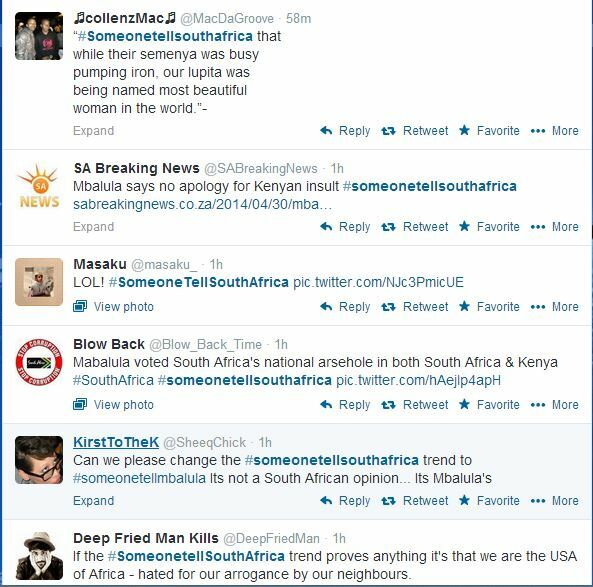 On the other hand, the #someonetellsouthafrica also began a #someonetellkenya trend. Fikile Mbalula’s Twitter account has since been tweeting messages to try to suppress the outrage, while reiterating that he owes no one any apologies.